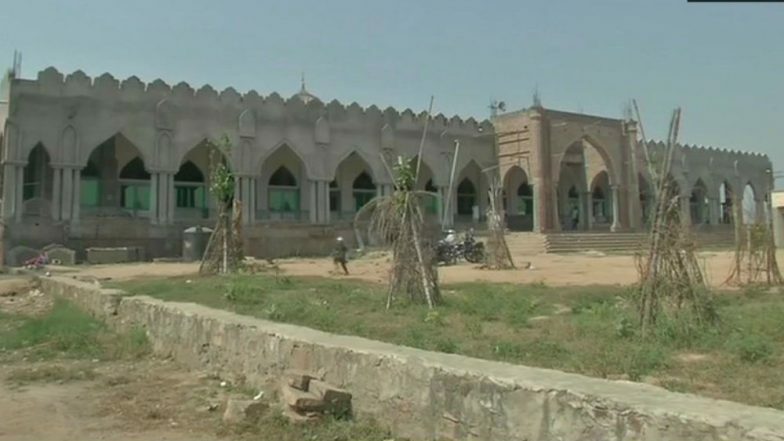 The Khulafa-e-Rashideen masjid at Uttawar village in Palwal, Haryana, is in controversy ever since the National Investigation Agency (NIA) claimed that the mosque was built on money provided by the UN designated terrorist organisation Lashkar-e-Taiba (LeT), which is led by Hafiz Saeed in Pakistan. But the villagers have now come forward to refute the claims of NIA and the village headman has said that the mosque has been built through the money given by people from many villages. Lashkar-e-Taiba's Bomb Threat at Ambala Railway Station, Security Beefs Up. The residents of the Palwal's Uttawar village say that Khulafa-e-Rashideen Masjid in the village is not funded by Lashkar-e-Taiba (LeT). "The land is legal and people from many villages have funded construction of this mosque," said Ramesh Prajapati, the village headman, talking to news agency ANI. Jammu & Kashmir: Lashkar-e-Taiba Militant Killed in Anantnag. The Khulafa-e-Rashideen masjid at Uttawar village in Palwal was searched by NIA officers on October 3. Days before the arrest, the agency had arrested the Imam of the masjid, Mohammed Salman, in New Delhi on charges of alleged terror-funding case. The agency had arrested two other men along with the Imam. The residents of Uttawar have said that the mosque is embroiled in a land dispute but have pleaded ignorance when asked of Salman’s links to the LeT. An Indian Express report said that the NIA is scrutinising the account books, questioning office bearers and checking the donation list of the mosque.